Up front confession: I love a Mustang. The 2014 Mustang has its flaws -- lots of flaws -- but I love that car anyway. Yeah, it's kind of porky, the steering isn't exactly crisp and if you hit a bump during a turn, it doesn't like that much. But I love it anyway. But the 2015 Ford (F) Mustang has just stolen my heart. Particularly the new version with the turbocharged 4-cylinder engine. This car is all Mustang but without the flaws. It's light, it's quick, it's nimble and it's ridiculously fun. It's also easy on gas. Even the V8 version, itself a little heavier and tad less efficient than the last generation, still enjoys a tight corner. Bumps? Not a big problem. 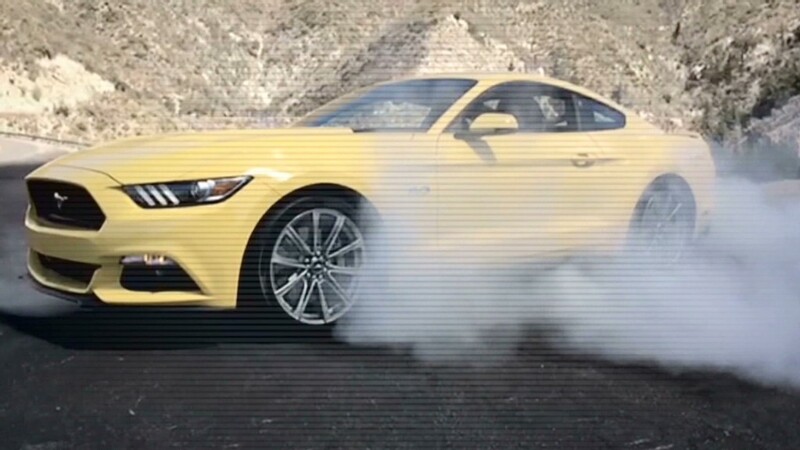 The Mustang's new independent rear suspension soaks them up with barely a wiggle. Barreling along a tightly twisted canyon road with all the settings turned to Sport Plus the 435 horsepower Mustang GT glided through turn after turn. It felt easy, balanced and smooth. Even the steering feels decent. Pretty close to excellent, in fact. In the straights, it's a beast roaring toward the next curve like it's after prey. The one thing I missed was the old V8's engine sound. This time, the 5.0-liter V8, though properly throaty at a stop light, turns a little whispery at high speeds. Not a bad sound but different. I miss menacing rumble of the older car. The EcoBoost Mustang with its 2.3-liter turbocharged engine really is the thing, though. This is the Mustang of the era. Yes, its 310 horsepower is paltry compared to the 435 the V8 gushes out. But it's 200 pounds lighter and that little engine is happy revving all day long. And it gets 31 miles a gallon on the highway and an even more amazing 22 in the city. A genuine pony car, it feels playful and eager. It's as if someone had invented soy bacon that tastes better than bacon. Having spent most of the day in the V8, I wish I'd gotten to spend more time with that car. (We needed to test the "automatic smoky burn-out" feature in the V8 car. It works. Sorry about the smoking holes we left in the asphalt.) But the people at Ford said I can take one of those EcoBoost cars out again tonight, I will when I get done writing this review. See you later. I'm going for a drive.